The Suki Japanese Knot Bag comes in two different sizes. The larger stout design is suited for heavier objects as it can be held on the shoulder and it has a spacious interior. The smaller bag is best for light objects. Its small design is great for special occasions and night outs. 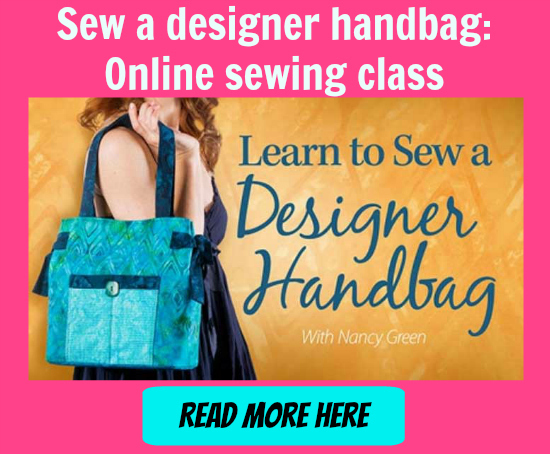 This is a great pattern for beginners because although the design looks complicated, it’s really a very simple idea, and there are no zippers or other fussy closures to sew or worry about. Simple sew, slip it over your shoulder (large) or your wrist (small) and you are good to go! Large Bag – 9.5″ wide by 13″ high (bottom to knot) by 3″ deep.